When you need the best in body armor, you can rely on Israeli Weapons to deliver. The Titan bulletproof vest for external wear is exactly the body armor gear you need when you get into a tight situation and various combat scenarios. You will be fitted with an NIJ-rated lllA/3A bulletproof vest, protective material to keep you safe from bullets and sharp objects and the bulletproof vest is rated to deflect bullets ranging from a .22 to .44 caliber size. 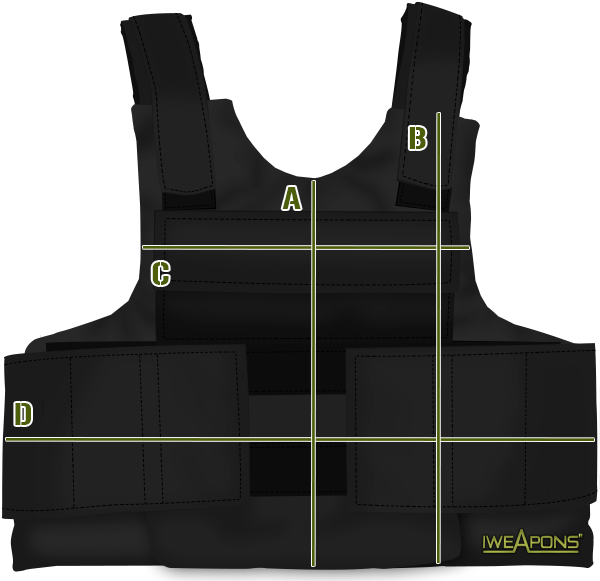 The Titan bulletproof vest is equipped with various pockets and Velcro tabs for easy adjustment. A size chart is available to ensure you get the best fit possible, and the Velcro straps and closures let you achieve maximum fit and comfort when you come under fire. 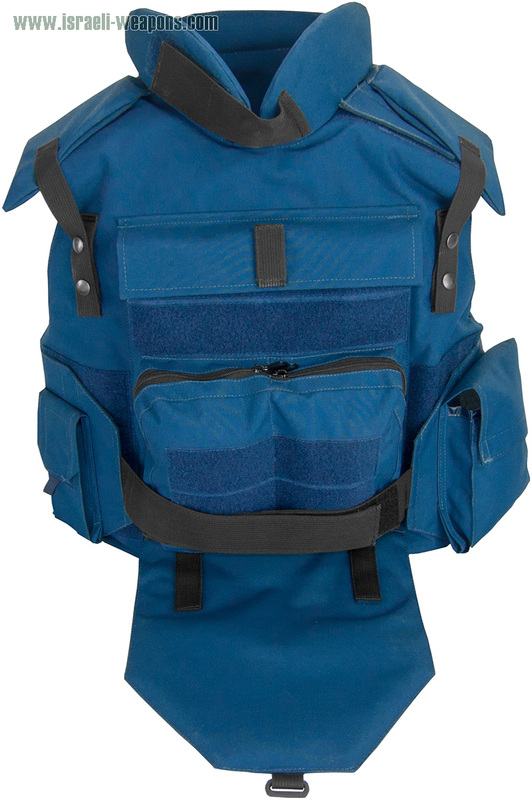 The light blue outer piece lets you blend in and is able to fit all pieces of your bulletproof arsenal easily and secures them in place with Velcro fixtures. You simply secure your bulletproof vest and armor plates if needed, and then slip the easy-to-wear vest in one simple movement. The free-carrying case allows you to pack all of your bulletproof items into one neat pack. Love the place for these extra armor plates for higher protection. I really like the color looks like UN. It’s nice to have neck and groin protection and even some pockets for the gear. Is there pockets on the back? I think it is perfect for the journalists who are covering crime scenes. As a journalist that will go to Ukraine soon i would probably but it if i would not received a bulletproo vest from the tv station. Is this protect against knife stabs? Does this vest pass Canadian body armor laws, i am interested in one? Working as a journalist is sometimes like going for a war. I will definitely buy this one for my future coverage. I really like the design. Is the neck and groin removable? LOL, I thought the design is very outdated, i want MOLLE ! Not everyone need MOLLE, sometimes some simple pockets can do the trick.